This was our 6th annual “Night of 1,000 PB&Js”. 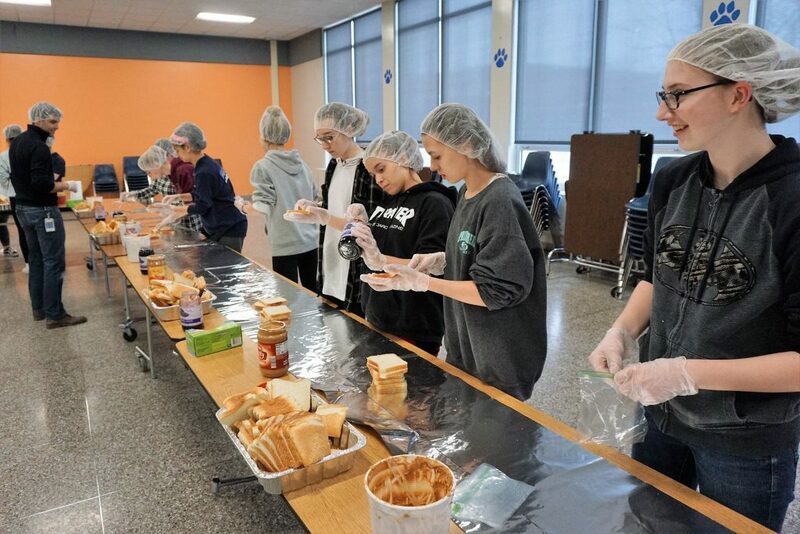 Each year, the purpose of this event is to raise awareness about the issues of hunger and food insecurity in our area, as well as providing 1,000 sandwiches for distribution at locations in, and around, the city of Rochester. 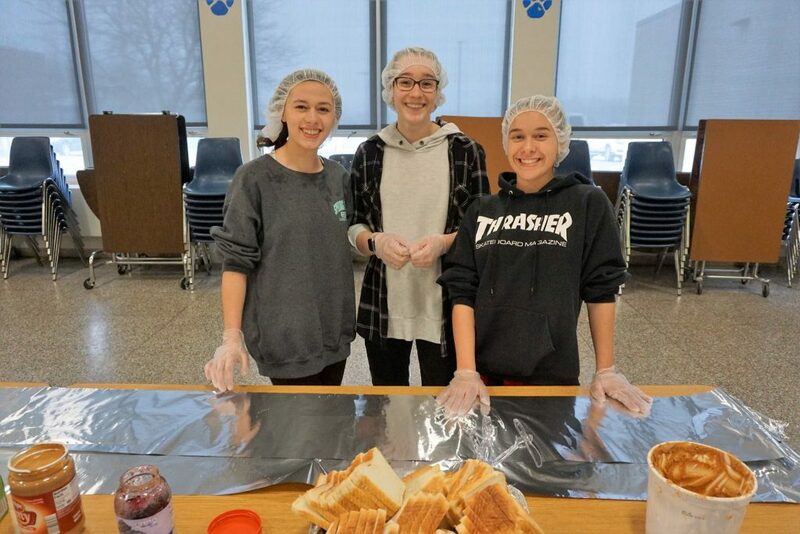 This year sandwiches went to the Open Door Mission, House of Mercy, and Saint Peter’s Soup Kitchen. 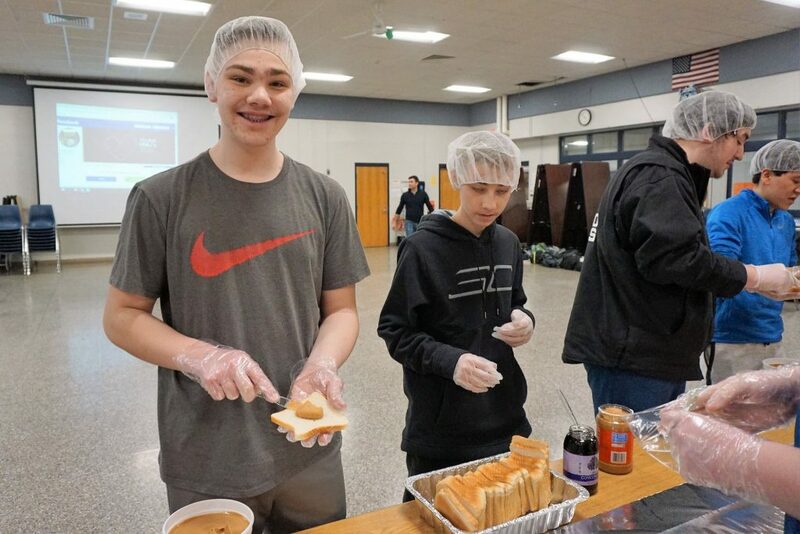 Leading up to the event, athletes on the team donate much of the peanut butter used for the sandwiches, while the rest of the supplies are donated by three local businesses – Leisure’s Restaurant and Banquet Facility, West’s Shurfine Food Mart, and Wegmans. The event begins with a brief introduction about the issues of hunger and food insecurity on a national, state, and local level. 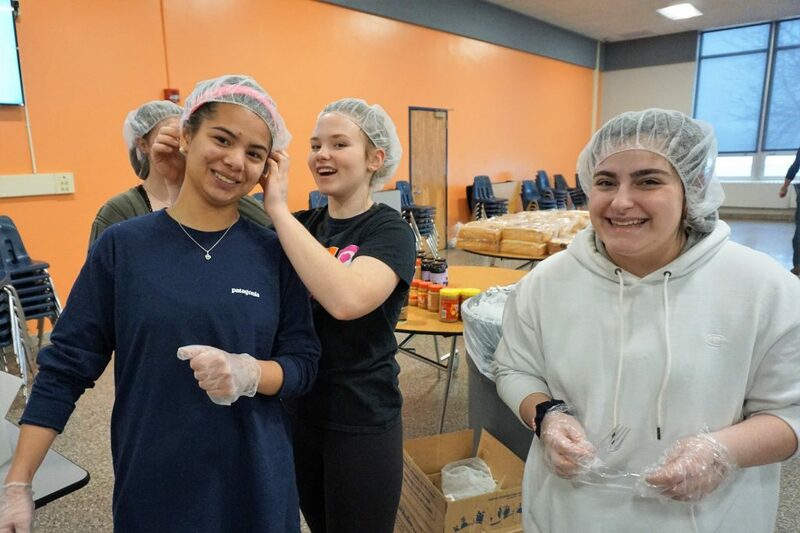 Chris Scribani, from the Open Door Mission, then speaks to the students about hunger, homelessness, and poverty, as well as programs the Mission offers. 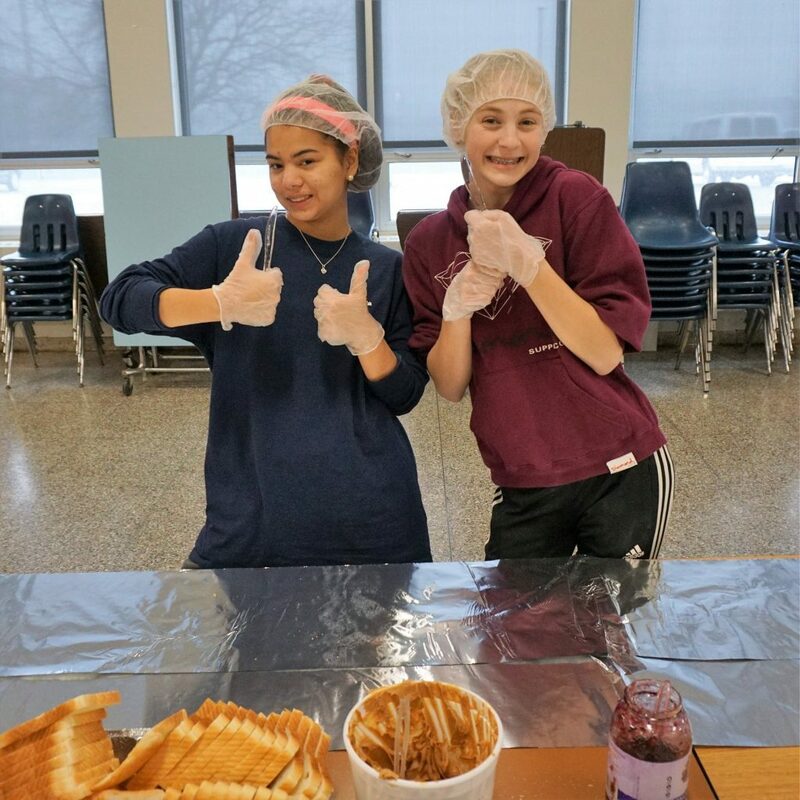 Before making sandwiches, time is spent discussing proper health regulations for sandwich making such as using food preparation gloves, hair nets, continual hand washing, etc… to ensure the highest quality finished product. 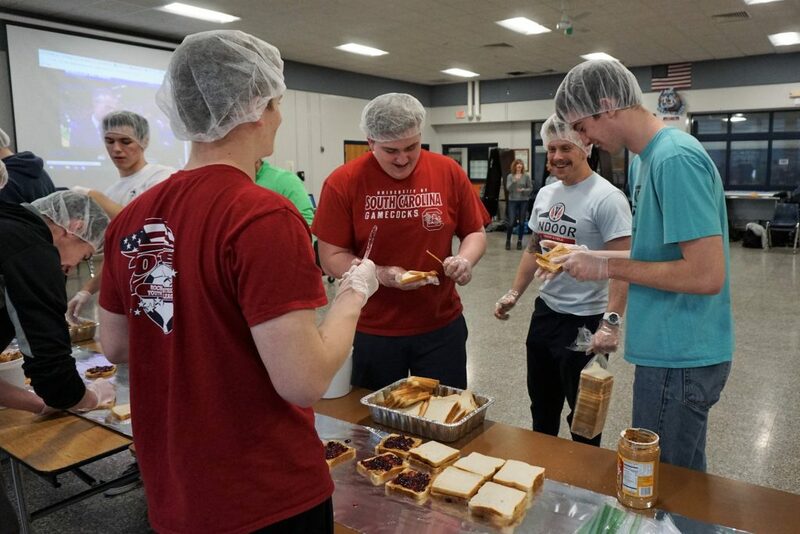 We then break into teams and have the boys make sandwiches for a little over an hour, while the girls participate in team building activities. After 500 sandwiches have been made by the boys, we switch roles. 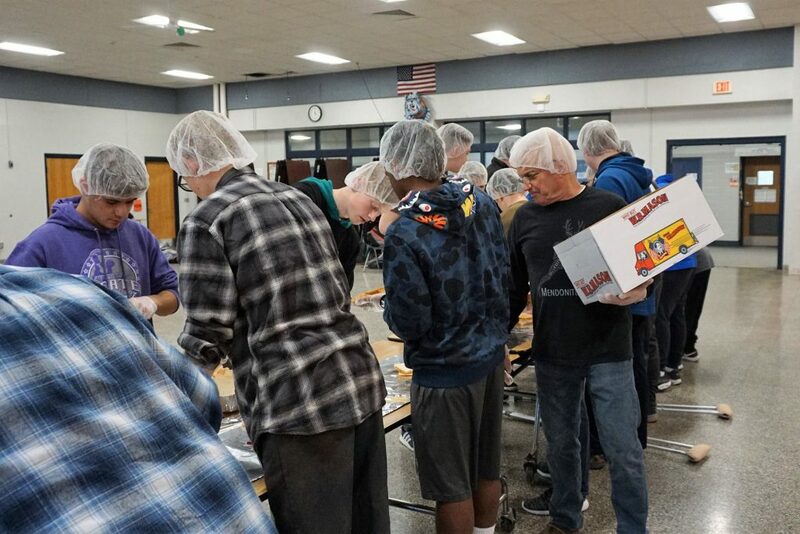 At the end of the endeavor, all unopened peanut butter, jelly, and bread is brought down to our local food pantry, Sent By Ravens, for distribution to LCSD families. In total, the event runs from about 3:00 to 6:00 pm. This year, we had approximately 60 student-athletes participate. 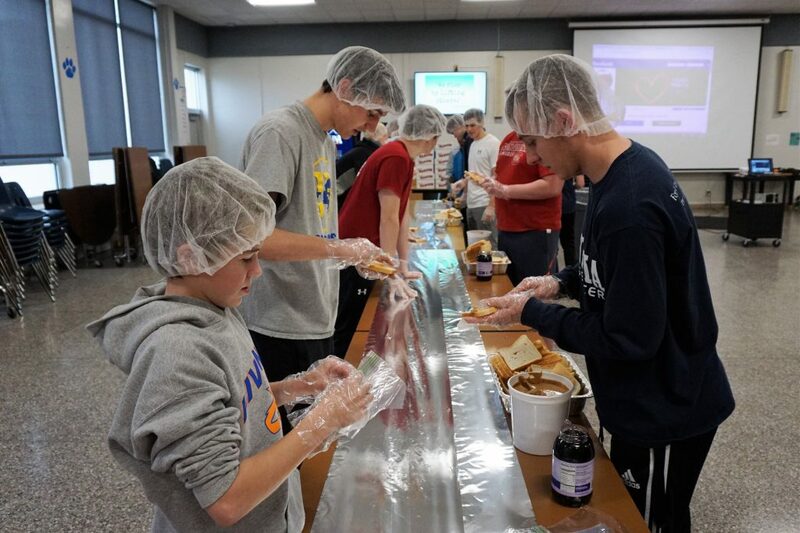 The inspiration for this event came from an organization run out of Westchester County, NY called 10,000 PB&Js. This organization is a volunteer-led organization seeking to spread kindness and compassion to our homeless neighbors in New York City. They gather weekly to prepare hundreds of meals and then hit the streets seeking to serve those that are hungry, lonely, and discouraged.